So that was that I just thought I would share. A big thanks to Orion for inviting me! Whilst away I also met up with the lovely Kim of Reading Matters for lunch which was lovely, much discussion of books and blogging was had too! Oh actually I forgot to tell you I saw the adaptation of S. J Watson’s Before I Go To Sleep the other week at the cinema and that was bloody marvellous too. Right, I am back to lie on the sofa and watch another adaptation, Jack Reacher. I haven’t read the books, I have no expectations, I am ill and in need of some escapism. What great adaptations have you seen recently? Have you seen Before I Go To Sleep? 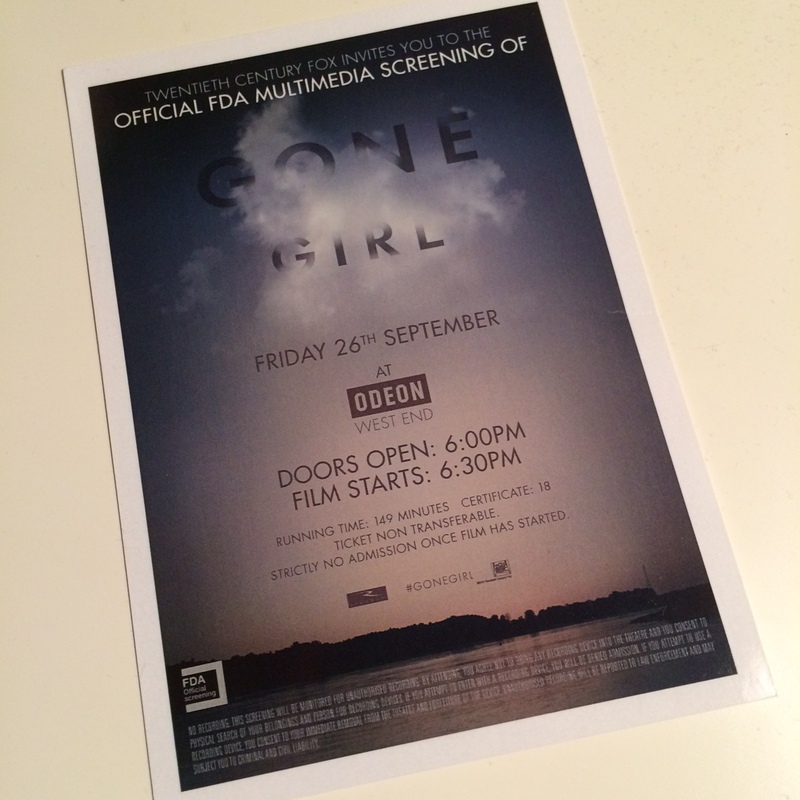 Will you be rushing out to see Gone Girl? Oh and if you have any questions for David Nicholls and Neel Mukherjee let me know… Book reviews are back in earnest from tomorrow, promise! I know it’s rather in advance but on the Tuesday when the Man Booker Longlist is announced I will be posting the first of two ‘mother of all posts’ for the week. I actually really ummed and ahhed about doing a post on the Man Booker Longlist, short list or even anything at all this year but I do love a guessing game and in creating my own guesses and hopes for the Man Booker Longlist I couldn’t really not discuss the prize a little. I mulled over ‘The Blasphemer’ by Nigel Farndale but as I didn’t really love it I couldn’t pop it on, I have a feeling that might show its face, maybe! So maybe in that case of all my choices being picked I could end up reading the whole lot if I’ve guessed all thirteen right – which I very much doubt! At the moment though its not in my plans because it took so much time last year and became a bit more of a chore despite some of the marvellous books on the list that I adored, ‘Brooklyn’ and the winner ‘Wolf Hall’, and wouldn’t have read without that extra push. I just got narked with the schedule and I tried earlier this year with The Orange Prize and it all went a bit wrong. So what would your thirteen be? 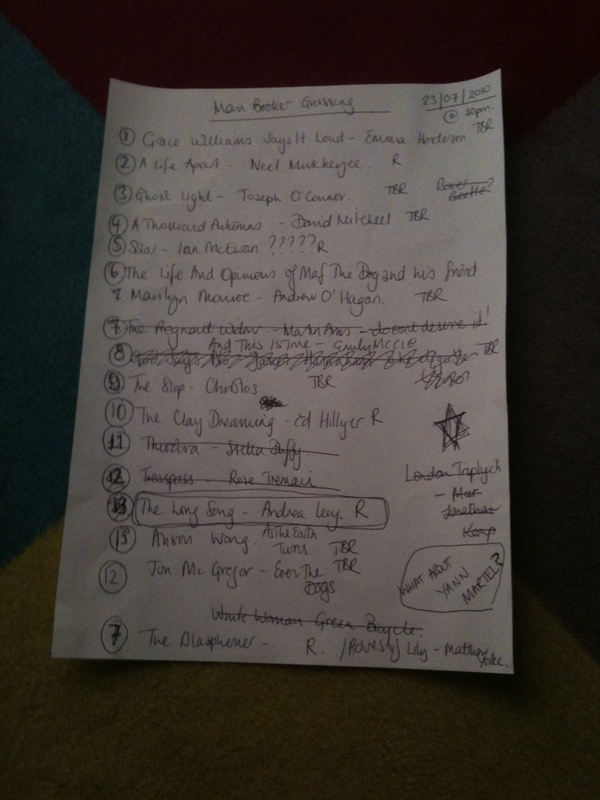 Or which certain books would you like to see in the Longlist? What do you make of my choice; I am sure they are well out. 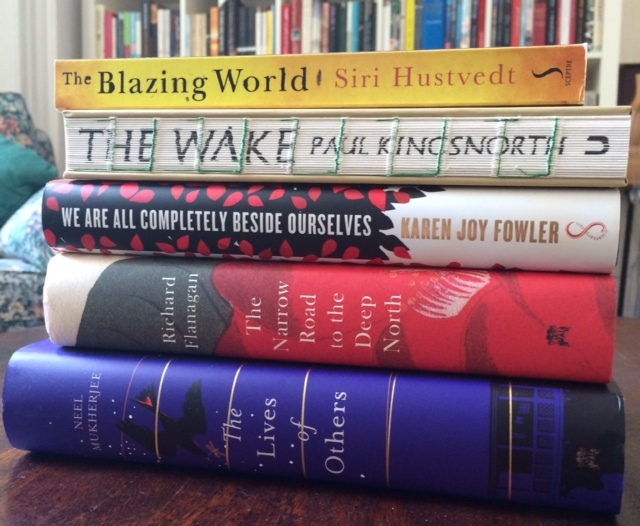 What are your thoughts on the Man Booker Prize in general? Wow, wow, wow, wow, wow! That was my initial reaction to Neel Mukherjee’s ‘A Life Apart’ and is still the reaction that I am left with a week or two later. In fact this book left such an effect on me and took me on such a journey I had to have a short reading break afterwards and then leave writing about it until I could think on it more. Yes it is one of those books that will leave you feeling a little differently about life, does that sound too grand? ‘A Life Apart’ is a book of two stories and one with many, many themes but don’t let that daunt you before you have read on. The book is in part the story of Ritwik a man who survives a childhood living on the breadline in Kalighat, India. His childhood is not a happy one filled with horrendous abuse from his mother whose funeral opens the book. After his mother’s death Ritwik moves to Oxford in the early nineties to study and find himself. In doing so he finds himself and in doing so starts thinking over the past and finding who he really is as he explores his sexuality and enters a dark underbelly of cottaging (quite graphic), drugs and alcohol leading into the world of illegal immigrants. There is a saviour in all this who is an elderly woman, Anne Cameron, and the relationship between her and Ritwik is one so moving and touching I can’t do it justice in words, it took the book to another level. Alternating between Ritwik’s tale is also the story of Maud Gilby. Maud is a middle aged woman who moves to the British ruled Bengal of the 1900’s and aims to liberate Indian women at the time and so becomes a teacher of English to rich Indian men’s wives. Initially you think ‘how on earth can these two tales have anything to do with each other?’ Well this is where I felt Mukherjee showed he was even more accomplished as the reader has to do some work to link the two, I shall say no more other than the result is a wonderful one. It is hard to believe that this is a debut novel as to read it feels so accomplished. Unlike other books that could have made you feel almost too much is going on everything is measured and paced, themes are explored but not overly so. No puddings are overegged by Mr Mukherjee here where some authors might have gone into melodrama or overkill. The prose is both lush and stark in parts and has a wonderful flow to it. The only slight tiny niggle I had was that Maud Gilby’s tale is all in bold which played a bit with my eyes, as I said a small niggle though. This book has also won India’s prestigious Vodaphone Crossword Book Award under its original title ‘Past Continuous’ and I believe, though I could be wrong, it beat Salman Rushdie. It’s a new award to me and one whose winners I will now definitely be looking to read. This win came as a surprise to some for the way it graphically portrays a hidden homosexual life in the early nineties but Mukherjee didn’t write this book to shock its part of making this particular story ring true, it is also by no means the be all and end all of the novel itself. I think actually the tale of child abuse is the one most people will find the hardest part of the book to read. Not only, as I mentioned above, is it a book that leaves you feeling a little differently about life, not on a grand scale but in subtle ways and haunts you after you finish the last sentence. I have absolutely everything crossed that this book ends on the Man Booker Longlist as it truly deserves to win so I am hoping its eligible and the publishers put it forward. A must read, a full ten out of ten from me, a book I would whole heartedly recommend to all of you. In fact I am tempted to say that you have to get this book right now and I don’t say too often.